I always have had skin issues. I was born with eczema, so caring for my skin was necessary to avoid rashes. Today, I have a reputation with my friends for having great skin, but I always tell them, I have to work at it. I began researching natural skin products I could use to help with keeping my skin hydrated and healthy when I was in high school. Now in my twenties, it is almost an obsession. I'm constantly looking up new skincare routines and products from all over the world that I can use in my daily routine. 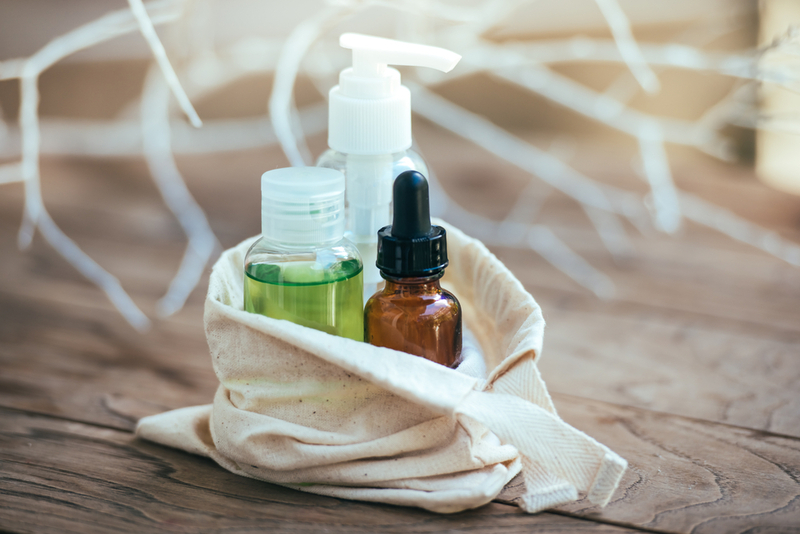 When looking for natural skincare products, I look to make sure they says things like "no parabens " or "no synthetic fragrances" because "all natural" on a label is not always "all natural" in reality. This is so important if you have sensitive skin, like mine, as certain ingredients can make your skin situation worse. Here are a few of my favorite natural skin care products made from ingredients found around the world. Friends from the Caribbean first clued me in to the benefits of coconut oil, telling me how they used it for everything. This year, I finally gave it a try, and the results have been wonderful. I first started using it in my body wash and felt the results of smooth skin immediately. I was quickly hooked. Next, I started using chapstick with coconut oil, and I noticed I did not have to reapply that often throughout the day as I did with so many other lip moisturizers. The next product I used was coconut oil in my face oils. Now, I don't go a day without putting coconut oil on my face. It keeps my face hydrated the entire day and also works as a natural highlighter. Derived from the Moroccan argan tree, Argan oil is something I've used for many years. Not only is it a great moisturizer, it's also a really good protectant against heat for both hair and skin. Plus, unlike other oils, Argan oil is light and absorbs quickly. I use it in my lotion, shampoo, conditioner and other hair care products. I just recently started using Manuka honey, which comes from New Zealand and has antibacterial qualities. I first heard about it in an with interview Kourtney Kardashian where she talked about using it in her food. I immediately decided that if it's doing good on the inside that it has to do well on the outside and started looking for products to try. I came across a night cream with Manuka honey. Sometimes I break out at night, but within days of using the Manuka honey face cream, I started to see fewer and fewer breakouts in the morning. Olive oils from Greece, Italy, Spain and more have long been staples in our kitchens, but I recently discovered they can also make a great body oil, especially in the cold, dry months. In the winter, my skin can get so dry that none of my regular products seem to help. I started using an olive oil body oil throughout winter and noticed how my skin felt moisturized to the point that I did not even need to put lotion on top it. This African plant is in almost everything from lotions to hair products, and it is great for moisturizing. I started using lotion products with Shea butter a few years ago. It's a great moisturizer because it goes deep in your skin; you feel like its actually doing something deep in your skin versus just doing something on the top layer. As much as I love these natural products, it's also important to let your skin rest. Sometimes, I don't put on anything but what I shower with so my skin can have a break and breath. A good way to detox your skin is to use a clay or charcoal face and body product. Clay helps draw those toxins out, as does charcoal. Charcoal is also perfect if you had a lot of makeup on and you want it all off your skin. I like to pick a day of the week to do a clay mask to get all those toxins out of my face. See the original article Great Skin Care Ingredients From Around The World on The Culture-ist.